Earlier today, a post on the official forum for Warhammer 40,000: Space Marine said that cooperative multiplayer for the game would not be available at launchand would be added into the game 30 days after launch "give or take." The post has since been removed, but publisher THQ has yet to confirm any plans or availability for the feature. Noticed by Shacknews, the forum post said the need to add "polish" to the game's "co-op aspect" is why multiplayer would be delayed. "I will update this thread with all the co-op details when we release them," a THQ community manager wrote in the forum post, since removed. 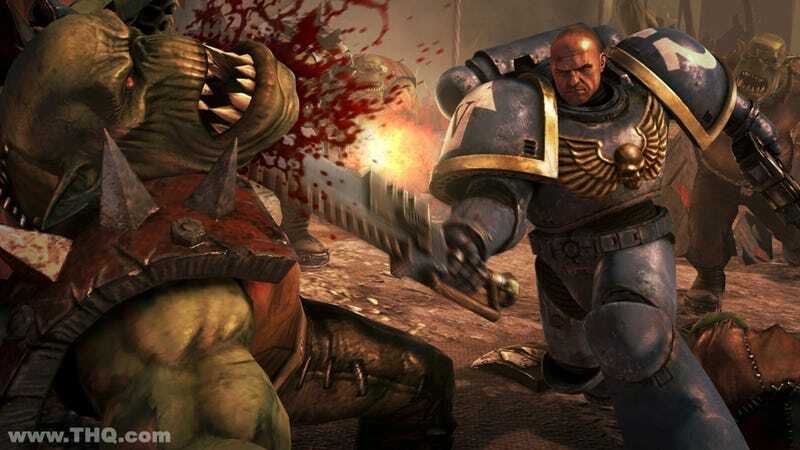 Warhammer 40,000: Space Marine is due to release Sept. 6. In a followup comment to Shacknews, THQ said that the game would include co-op multiplayer and "we look forward to announcing more details later this month." That notably does not answer whether co-op will be available at launch, of course.